For reasons unknown... It appeared on the 1st November in a German town of Schmalkalden. 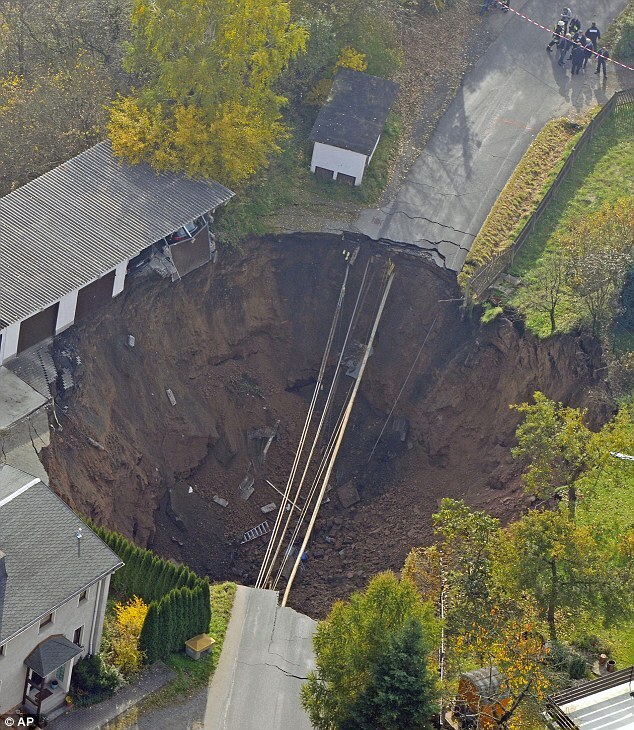 The landslide measures around 20metres deep and a massive 40metres wide. Experts say it was possible that rock formations underground broke up, creating a cavity. These things never seem to happen under Jordan's house do they. I've always fancied moving to Germany as well! It's probably just another Nazi time-travelling experiment that went wrong!